“Article” refers to a manufactured item: (i) which is formed to a specific shape or design during manufacture; (ii) which has end use function(s) dependant in whole or in part upon it’s shape or design during end use; and (iii) which does not release, or otherwise result in exposure to, a hazardous chemical, under normal conditions of use. Articles are exempt from the requirements of the Hazard Communication Standard (see 29 CFR 1910.1200 (b)(6)(iv)). ZAP-IT®, sold by Zap-It Corporation, contains the substance listed below. The primary health and safety hazard in handling or disposal of Zap-It Corporation components is the potential for injury from fire, burning or inhalation. Inhalation: Inhalation of smoke caused by laser beam hitting ZAP-IT® should be avoided. Eyes: ZAP-IT® poses no threat to the eyes. Laser protective eyewear should be worn at all times when operating a laser. Oral: Ingestion is to be avoided. Personal Protective Equipment: No protective equipment is necessary other than laser eyewear. 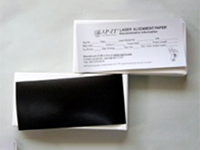 Note: A poly bag can be used to cover ZAP-IT® and trap any smoke or residuals from the laser beam hitting the paper. 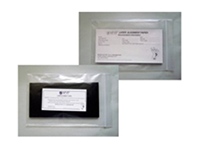 Using a poly bag will minimize smoke and protect the optics in the laser system. Like most films and resin-coated papers they are no more hazardous than other celluloid, wood or fabric materials of equivalent shape and weight. The following discusses the combustion characteristics of ZAP-IT® Laser Alignment Paper. 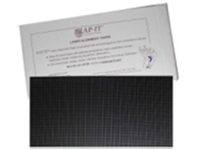 ZAP-IT® Laser Alignment Papers have a burning rate equal to or less than other cellulose-base products of similar thickness. Tests of resin-coated paper show that the presence of emulsion and polyethylene layers retard the burning rate. The flame-retarding rate of the surface coatings decreases as the thickness of the paper stock increases. Adhesion to a mounting board or a wall increases the amount of thermal energy required for ignition, and also retards the rate at which flames spread. 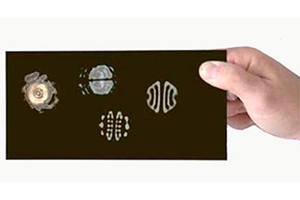 When the cellulose in ZAP-IT® Laser Alignment Paper burns, it can produce carbon dioxide, carbon monoxide, water and many organic compounds, some of which may be irritants. The principal toxic compound is carbon monoxide; its concentration varies with the burning conditions.